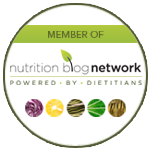 What to eat when you get home from school or work | Health Stand Nutrition Consulting Inc. Many people find getting home from school or work the “hangriest” time of the day. Hunger and anger show up late afternoon in response to fatigue and lowered blood sugars. If you have found your energy and mood to be depleted when you get home, here are some things that can help. Why are people often “hangry” mid-afternoon? Distraction and not enough time to eat lunch. Some kids can be too distracted at school to get in enough healthy nutrition needed for growth and brain functioning. Other kids are pokey slow eaters or picky and need more encouragement and reminding during lunch time to eat their meal. Not enough at breakfast and lunch. If breakfast and lunch are insufficient you can expect a rebound hunger mid-afternoon and evening as your body tries to make up for what it missed earlier in the day. Long gap between lunch and supper. For the best energy and productivity through your day eat every 3-5 hours. This means if lunch is at 12 noon a snack between 3-5pm is ideal when blood sugars are dropping which can lead to sleepiness and lowered mood. What are the best strategies for kids that don’t eat enough lunch? Maximize breakfast. Be sure to offer a substantial breakfast with carbohydrates from grains and fruits to help provide the brain with energy and a good source of protein since foods such as milk, soy milk, yogurt, cheese, nuts, nut butters, eggs and meat provide more sustained fullness. 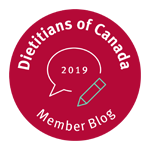 Traditional breakfast items are great but also consider your kids favourite supper meals such as leftover pizza or quesadillas as other options. schools to help, but meet them and let them know about the challenge to see if there is anything they can do. Talk to your child. Educate your child about how nutrition is tied to their mood and energy and doing well at school so they understand why it is important. Make lunch packing fun. 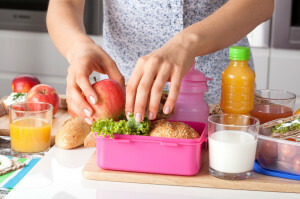 Get kids involved in lunch planning and consider bento box style lunches with cubed cheese, sliced meat, crackers, cut up fresh fruit and veggies, hard cooked eggs, French toast strips with jam, mini bran muffins or dried fruit that are often appealing to kids. What do I do if my kid brings home a full lunch box and is ravenous when they get home from school but I don’t want them to spoil their supper? Offer a healthy snack with both carbohydrates as well as protein. 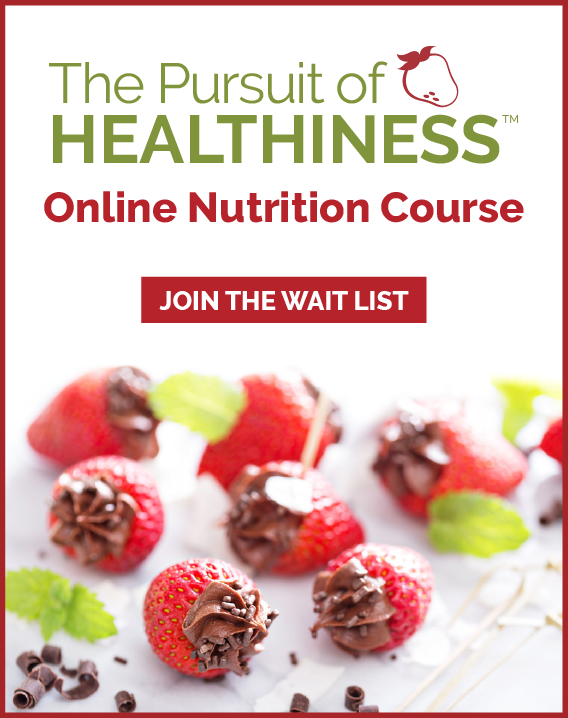 Consider offering some of the foods that are often trickier to get them to eat since this is a time they are most hungry. For example, if your child doesn’t love veggies at supper be sure to offer some of these such as raw veggies with hummus, celery with nut butter, vegetable soup or Greek salad with a few whole grain crackers or other grains. Consider moving supper later (or earlier). There are many ways to eat healthy. Having a large after school snack and late supper versus a small after school snack, earlier dinner and small bedtime snack are both healthy options. Try out a few options and see what works best for your family schedule. What are some healthy after school and work snack options? Whole-wheat pita bread and hummus with celery sticks. Salad boats. Romaine lettuce leaf filled with grated carrots, crushed peanuts and peanut dipping sauce. Multigrain crackers with cream cheese topped with cucumbers or red peppers. Smoothie made with yogurt, frozen berries, banana and unsweetened juice or milk. Dry ready-to-eat breakfast cereal mixed with dried fruit (such as raisins, dried cranberries, dates, figs, prunes and dried apricots) as well as mixed shelled nuts or seeds (such as peanuts, almonds, cashews, pumpkin seeds or sunflower seeds). Other popular additions include pretzels, popcorn, crackers and chocolate chips. Bran muffin and cheddar cheese with grapes. 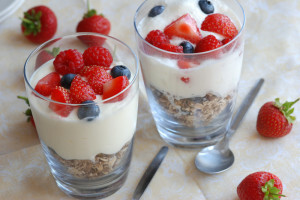 Yogurt parfait with yogurt, berries (or alternatively try fresh or canned unsweetened pineapple or peaches) and granola. Mini bocconcini (fresh mozzarella cheese) and grape/cherry tomatoes on toothpicks. Spread peanut butter or other nut butter on a banana and roll in crushed breakfast cereal. Frozen grapes and cubes of cheese.